A businessman has been convicted of a health and safety offence following the death of a worker at a skip hire firm near Attleborough. Robert Baldwin, managing director of Baldwin Skip Hire, had denied manslaughter and an offence under the Health and Safety Act of consenting or conniving in the commission of an offence attributable to neglect, following the death of James Criddle in May 2017. After a six-day trial at Norwich Crown Court a jury today (Tuesday 19 March 2019) convicted Baldwin, 48, of the health and safety offence in relation to practices at the firm’s site. The jury found Baldwin not-guilty of manslaughter. The company, Baldwin Skip Hire, had previously pleaded guilty to a charge under the Health and Safety at Work Act 1974 for failing to discharge general health, safety and welfare. The charges related to an incident at the Besthorpe-based business on 15 May 2017 when Mr Criddle died while using a screener machine. The 29-year-old’s clothing became trapped in exposed moving parts, causing him to suffocate. The court heard the screener machine, used to separate waste material of different sizes, had been purchased second hand and arrived on site with no operating manual or similar documents on how to use the machine safely. 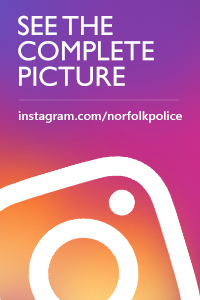 Detectives from the Norfolk and Suffolk Major Investigation Team launched an enquiry, working alongside the Health and Safety Executive, resulting in charges being brought against the company and managing director. Baldwin, of Silver Street, Besthorpe, will appear at Norwich Crown Court for sentencing at a later date.